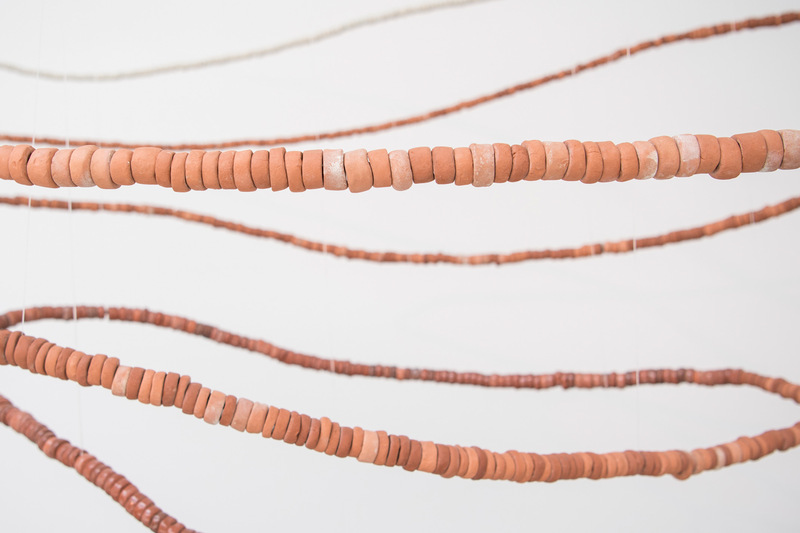 For SB13, Taloi Havini explores a form of shell-based currency known as beroana, which was used on Buka Island in the Autonomous Region of Bougainville. For SB13, Taloi Havini explores a form of shell-based currency known as beroana, which was used on Buka Island in the Autonomous Region of Bougainville. Through this so-called ‘shell money’, the artist foregrounds indigenous systems of knowledge, value and exchange, which contrast with today’s inflexible financial order, in which value is apportioned by distant actors to the coins and notes of its ‘official’ currency. 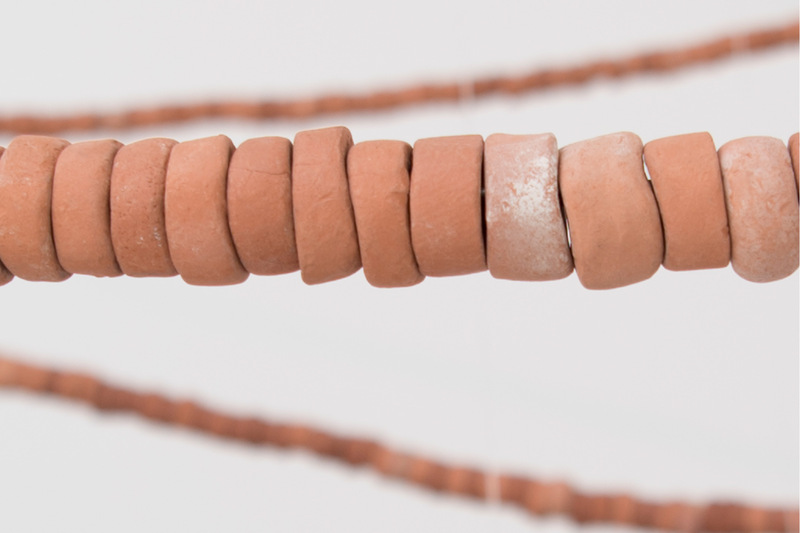 Beroana (shell money) (2015) recreates the time-consuming task of collecting, grinding, shaping and drilling the shells comprising beroana by forming earthenware and stoneware replicas by hand. 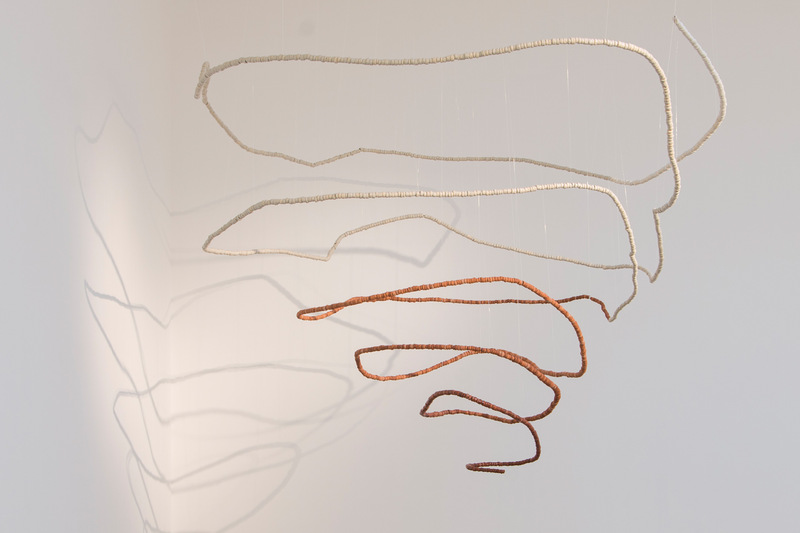 These replicas are then suspended in an elegant spiral formation, just as they are displayed in Buka. Passed down through generations and used in ceremonies, beroana can either be worn on the body or placed in an architectural setting, where it is often used to punctuate space. 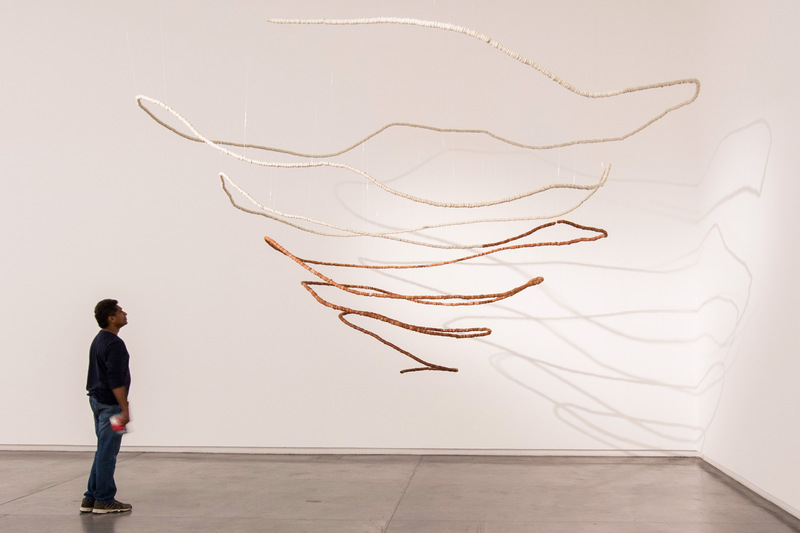 The formation of the work resembles a vortex, its stillness inviting reflection on the whirlwind extraction of natural resources for a cash economy—referencing Bougainville’s recent mining history (1969–89) and wider systemic exploitation that continues around the world today. Despite the existence of a robust economy before European exploration, the new government of colonial times banned the use of beroana in ‘transactions involving white people’. Yet overseas museum collections hold vast amounts of the shell money collected from the Southwest Pacific Basin. With the display of this work, the artist explores conceptions of wealth and the modes of exchange it facilitates.